A senior American diplomat urged South Korea on Monday to suspend imports of Iranian petrochemicals as Washington tried to rally international pressure on Iran to stop its nuclear program, reports the NY Times. South Korean imports of Iranian petrochemicals amount only to $300 million a year. Still, the country fears damaging its other trade ties with Iran, especially crude oil imports. 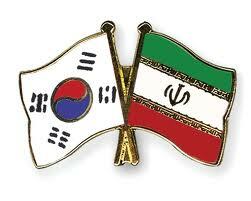 Iran is the fourth-largest source of crude oil for South Korea, accounting for 10 percent of its oil imports.